The Carlisle 453003 Tulip dessert dish is made of a sturdy SAN plastic that can withstand heat as high as 180 degrees Fahrenheit and resists breaking, chipping, and staining. 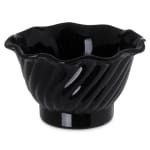 Since the material is black, it matches almost any theme and is ideal for ice cream, pudding, and more. 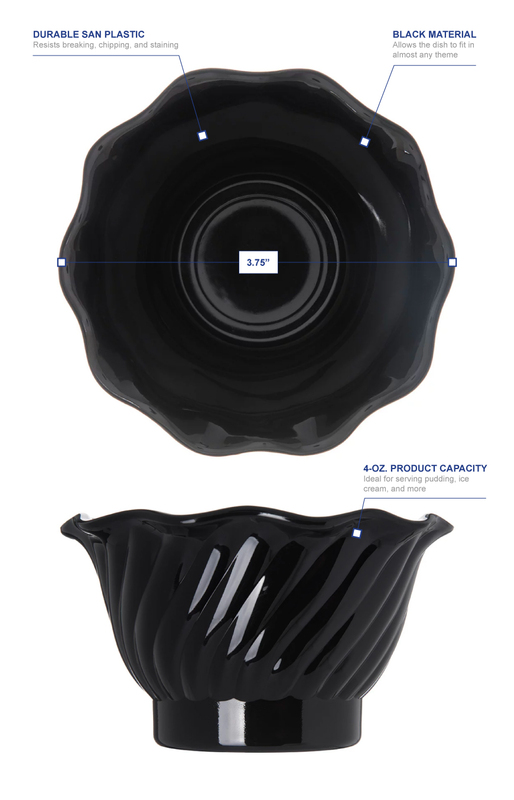 It’s 4-ounce capacity and 5.7-ounce rim-full capacity can stack with similar dishes for storage.